In the course of the book, you will be introduced to the homo-iconicity and metaprogramming concepts in Julia. 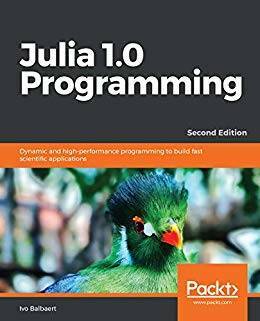 You will understand how Julia provides different ways to interact with an operating system, as well as other languages, and then you'll discover what macros are. Once you have grasped the basics, you'll study what makes Julia suitable for numerical and scientific computing, and learn about the features provided by Julia. By the end of this book, you will also have learned how to run external programs.